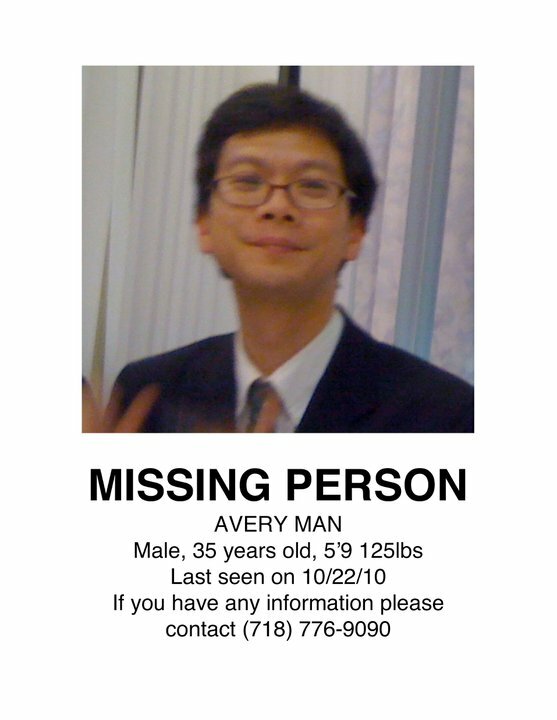 My friend Avery Man has been missing since Friday, I have been worrying about him nonstop since Tuesday. But instead of getting lost in my crazy head, I figured I’d write about him. Get it? Avery Man? 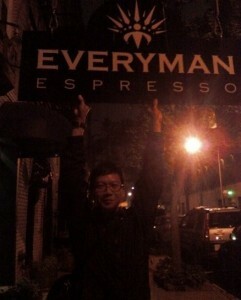 Everyman? I laughed for a very long time. I laugh at everything. I’ve known Avery since we were about 11 years old, we were both in a program for gifted minority students and we both ended up at Yale together. All of our classmates are stunned. Our mutual friend Patrina, said she saw him this summer and he was on his way to medical school. In China! Which doesn’t surprise me one bit, he’s fluent in a billion languages. Ave and I are great facebook friends! We played daily games of Scrabble, until he got too good and started to win more than occasionally. 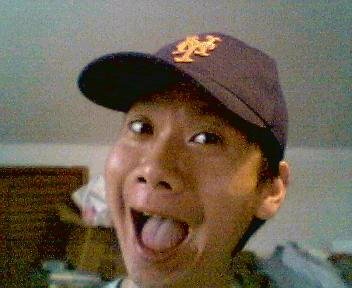 We had lengthy wall conversations, last year when he said he was rooting for the Yankees, I called him a traitor because, as Mets fans, we do NOT ever root for the Yankees. He said that since the Mets were out of it, he had to root for the next closest New York team. I said, if that argument were valid, he might as well don the pinstripes in July. Which I promptly posted on my blog AND then played for my other friend, who actually wrote the song Avery is parodying in this clip. You can see Avery’s reaction to that in his comments. I found out about his disappearance on facebook when I went to leave a “thank God the Yankees aren’t in the world series this year” note for him. Instead, I saw this post from his sister saying that the family is looking for information about his whereabouts. A bunch of us have put up posts about him, it’s been nice seeing all the photos of him through the years that people have in their facebook archives — he’s a wiry boy, but deceptively strong! We all miss him and hope he’s found soon. I can only assume that he somehow figured out time travel and is currently figuring out how to repair the flux capacitor so he can return to 2010. Also, if he ever makes fun of me for this post, I’m kicking him in his shin. Nay, both shins! Here’s hoping he went off on a spontaneous vacation to the Bahamas. I was sorry to read about his passing on Twitter. It sounds like he was a good person and a good friend. R.I.P.